Are you preparing for kids' Christmas party event? Here I share my Christmas party invitation. 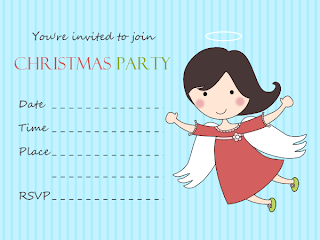 Four design style of cute angel Christmas party invitation. Click on image, print and use it freely. Enjoy this invitation printable. 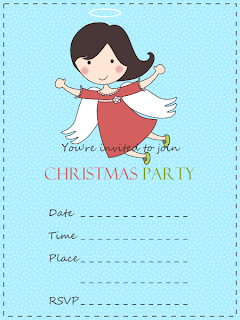 I think making your own invitation card for your Christmas party can very exciting. Christmas party invitation card's design should be very unique & very attractive too. one you shared is looking interesting.